Being a kid who grew up using windows all the time, you know that being connected to the internet all the time and browsing everything can be painful. Especially when it comes to your music and playlist. This is when we hail Spotify. But what happens when you are out of data or you can’t connect to the internet. Are you supposed to be kept away from your self-curated playlist? The answer doesn’t necessarily have to be in the negative. Yes, there is a way to carry all your Spotify music with you without having to burn off all your data. To answer the question in hand, I present you with the Tuneskit Spotify Music Converter Windows. This is a sleek software that you can use to convert you Spotify songs, playlist and much more to save it on your computer in a DRM (Digital Rights Management) free environment with no loss in quality. The saved files can run on any platform or Operating System. It is effective, cost-effective, user-friendly and easy to use. And the output files are lossless. With no degradation in music quality. Why use the Tuneskit Spotify Music Converter for Windows? There are many reasons you would want to use this software. The conversion is completely lossless. Firstly, download the Tuneskit Spotify Music Converter for Windows and install it. 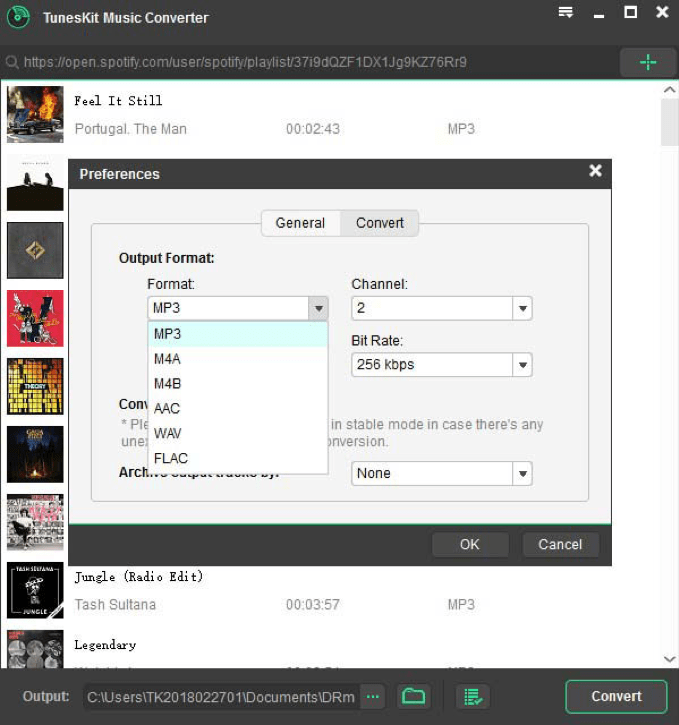 You can start by adding all the songs or the playlist that you want to download to the Tuneskit Spotify Music Converter. 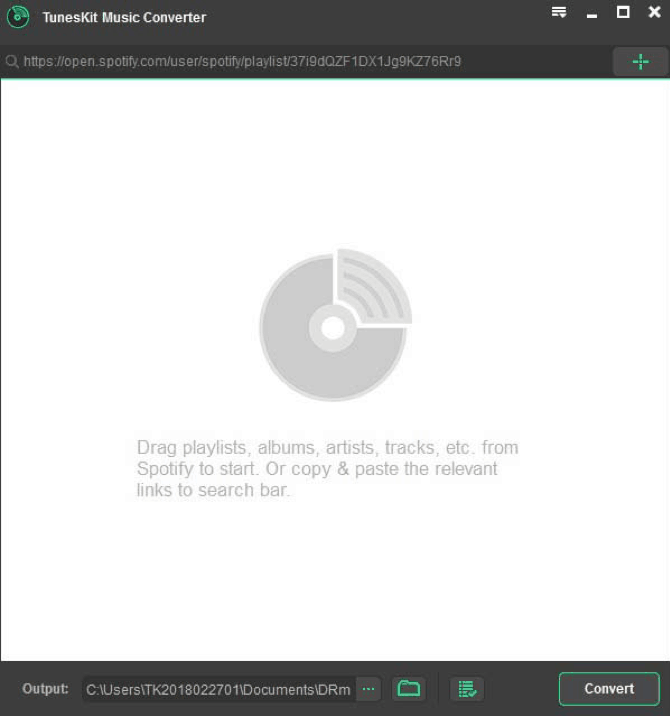 You can either drag-drop the songs, album, playlist or artist from Spotify to the Tuneskit Spotify Music Converter for windows software or you could add the required songs by using the Spotify link. 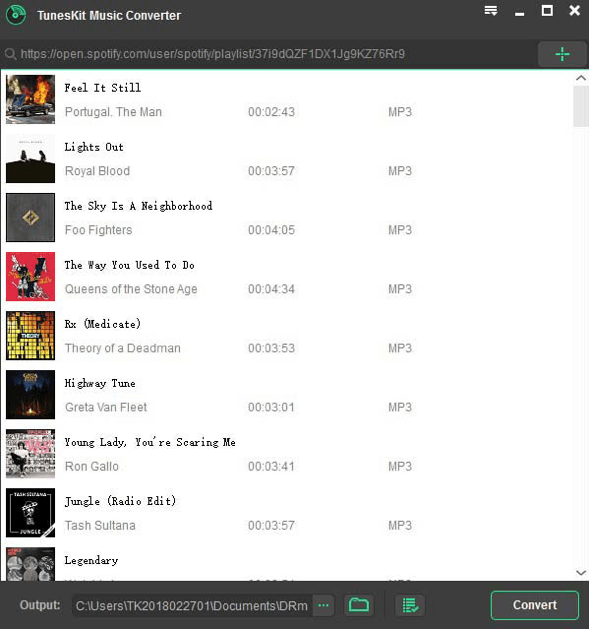 The best part about the Tuneskit Spotify Music Converter is that you can save the songs, album or playlist in any file type. Be it MP3, AAC, WAV, FLAC, M4A or M4B; and it is all lossless. There is no degradation in the sound quality of any sort. It is seamless and efficient. Then you select the folder or drive where you want all the songs saved. This reduces your work to have to open some specific directory where every song is saved and then have to copy all of the songs to the folder where you want all of the songs saved for your convenience. After you’ve followed all the above steps, click on the convert button on the bottom right corner. Now you can go and check the directory to see if all the songs were converted to the required file type in a DMR-free way. Now you can enjoy all the music that you wanted to without having to open Spotify or use your Internet or data. You can copy the songs on your phone or any other digital music player and enjoy the songs on the go. And it is super easy, efficient and cost-effective. So why wait, just download the Tuneskit Spotify Music Converter Windows or use the DRM Removal Tool to enjoy all of your music without the internet charges or delay, on the go.